In the movie My Big Fat Greek Wedding, fictional Greek-American small business owner Gus Portokalos repeatedly issues a bold linguistic challenge: “Give me a word—any word—and I’ll show you how the root of that word is Greek.” Unfortunately for him, most words in the English language don’t come from Greek. To be sure, there are fields like medicine where English terminology has a very high concentration of words of Greek origin. When looking at the totality of the language however, Greek only accounts for a small but significant percentage of loanwords. In actuality, Greek-Americans have generally been exemplars in the practice of borrowing words in the opposite direction: from English to Greek. But people living in Greece have historically resisted foreign loanwords. The result is that people who are versed in standard modern Greek will sometimes have a hard time following a conversation between two first- or second-generation Americans of Greek descent. 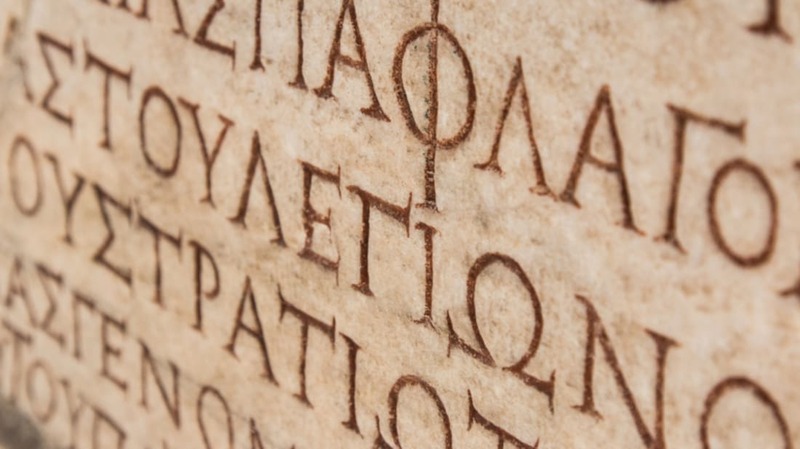 They’ll encounter phrases that sound hellenized, but which aren’t taught in Greek schools. I speak from personal experience. My own knowledge of Greek comes primarily from speaking it at home from a very young age in Athens, Greece where I was born and lived until I was 25. Perhaps the most thorough examination of the vocabulary of Greeks abroad was undertaken by linguist P. David Seaman for his doctoral dissertation in the 1960s under the title Modern Greek and American English in Contact. Seaman’s view was that environmental factors in the U.S. made spoken Greek there “less static”: “In the basically monolingual society of America, bilingualism is a 'task' imposed upon the immigrant, and it remains a task as long as he keeps trying to learn English.” This was in contrast to Greece where “bilingualism is a choice.” He also found that one very large religious and cultural institution prominent in the lives of Greek-Americans—the Orthodox Church—advocated for “stilted Katharevousa” (a largely abandoned version of Greek that is a cross between modern and ancient). Seaman concluded: "Modern Greek is not usually subject to positive reinforcement in the United States." Seaman’s research focused primarily on the sizable Greek community of the Chicago area, but his conclusions can probably be generalized for the rest of the U.S. and other English-speaking places like Australia, Canada, and South Africa with large concentrations of Greek immigrants. In recent years however, even people in Greece seem to slowly be altering their vocabulary in much the same way. Bilingualism is less of a “choice” in today’s more cosmopolitan Greek society than it was 50 years ago. Today there are hundreds of informal loanwords from English to Greek. No doubt certain phrases are in use more widely than others, while many have fallen by the wayside. Below is a list of some of the quirkiest and most amusing to speakers of either language. “Below zero.” The phrase plakósane ta bilozíria means that cold winter temperatures have begun. The pre-Ellis Island immigration center “Castle Garden”—even after the center itself closed, the term remained in use in reference to immigration checkpoints. This coinage is “cookbook,” but it’s used to denote specifically English-language cookbooks. Greek cookbooks are tselementés. Another condensed phrase, this comes from “I don’t know.” It’s used to highlight indifference to remembering what the speaker perceives to be unimportant information. Greek has its word for “market,” agora, but Greek Americans added markéta. The blogging platform Tumblr tried to cut down on the number of vowels in its name, but this Greekism adds a few more back into the name for good measure. Used for the proprietor of either an online “shop” (e-sopás) or pet shop (pet sopás). There is no ‘sh’ sound in Greek. 14. ÉVALES KORÁKI STI MÍTRA? Sources: Lingua Greca, Sarantakos, P. David Seaman (1972), slang.gr, Manolis Tryantafyllidis (1952) "Greeks in America"